As per the latest report from IDC on the global smartphone shipment for the second quarter of 2018, Chinese smartphone maker Huawei has surpassed Apple. Now, there could be multiple reasons supporting this shift in preferences. But the most important driver is customer experience resulting in alternate choices. Over the years, enterprises of all shapes and sizes have been working towards enhancing customer/user experience by improving the performance of the device or of the application on the device. Digital Transformation makes performance validation all the more critical. That’s where Performance Testing has been making strides. So is the case with Performance Testing, which can be diagnostic in nature, but in the ‘digitally’ engaged scenario, it needs to be goal-based and result-oriented. It is critical to devise a focussed Performance Testing strategy for the digital era that is much more customer-oriented and dynamic. Performance Testing and User Experience, a crucial connect! The ground rules of Digital Transformation state that customer experience is paramount and indispensable. Enterprises cannot miss a fraction of this objective while pursuing their quest to achieve business excellence. 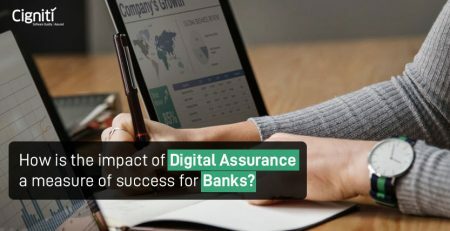 Even the new and emerging technologies that have been adopted by IT folks incline towards faster turnaround time and quick-fix solutions for ensuring enhanced user experience. Performance Testing has a crucial role to play while all the new technologies and methodologies get introduced and rolled in. User experience remains at the core of every digital transformation strategy. Ultimately, it’s not just about checking the load and the corresponding performance, it’s most critically about ensuring flawless experience throughout the lifecycle of the application. The Performance Testing strategy can be very much aligned with an organization’s business objectives. 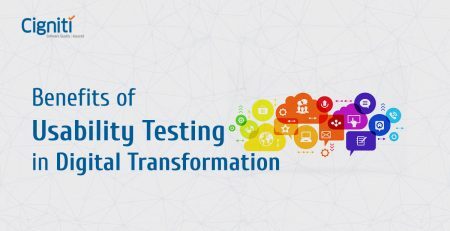 However, in the backdrop of the Digital Transformation initiatives, there are few quintessential practices that you must consider for Performance Testing. It will make your strategy more focussed and close to your business objectives. The Performance meter for your digital initiatives must keep on spinning at a consistent pace. Hence, these are some base rules that you can consider while fine tuning your Application’s Performance chart. 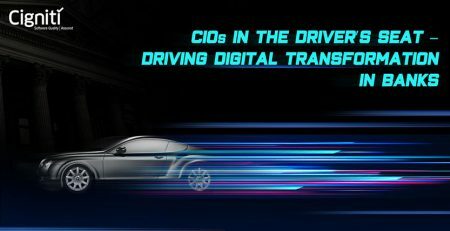 This might sound vague and generic, but staying accessible for innovative solutions is the ground rule of Digital Transformation. This applies for your Performance Testing strategy as well. Your new-age applications are expected to deliver new experiences like never before. Then why can’t your performance testing strategy deviate? Hence, while sketching the scope of your software testing strategy it is important to keep the window for offbeat testing practices open. This will not only provide the expected outcome, but also expose some unexpected performance glitch. Delivering the minimum will never help you to ensure flawless performance. Generally, with performance testing, the baseline refers back to factors impacting user experience. It is important that you define these factors rather than making them sound generic and ambiguous. For instance, while performance/load testing an e-commerce application your performance parameters will be different, when compared to the factors while dealing with an online gaming application. The reference points will make your strategy tangible and measurable. Working with defined objectives will help deliver the expected and sometimes the unexpected results as well. While planning your strategy you must try to keep it real and not go overboard by throwing your application through high traffic zones and scenarios that could be unrealistic. Your test environment must depict actual devices and configurations that are trending in the user environment. It must consider traffic issues that are expected, with variations that can provide a real-world scenario. Consider the traffic that might come to your application from diverse mobile devices, web browsers, operating systems, and across varying network condition. This will keep your tests attainable and steady. Building unrealistic target points might not necessarily help. Moreover, you would be in a better position to compare your measured performance with your perceived performance parameters. Methodologies and approaches such as DevOps and Agile are being adopted to make testing cycles shorter and continuous. Performance tests cannot be done in isolation, as in a digital testing environment the issues need to get fixed on a continuous basis and even in a LIVE set-up. It is recommended to bring in performance testing within the fold of your development cycle. It will make your strategy dynamic and much more relevant. Building real-time solutions is absolutely necessary when it comes to Performance Testing. Whether it works or doesn’t work ultimately, is a question to be answered, but making it effectively foolproof is something that a good thought-through strategy can do for you. Cigniti’s Performance Engineering & Testing teams have extensive experience in providing cutting edge services to global clients. Cigniti’s Performance Testing expertise spans a wide range of applications including client-server, web, distributed, mobile, cloud databases, high volume transaction systems, and highly complex applications. Our Performance Center of Excellence (PCoE) provides end-to-end performance testing solutions to help our clients launch future proof applications with high responsiveness, availability, and scalability. Connect with us to devise a Performance Testing strategy that is much more result-oriented and relevant for your digital initiatives.